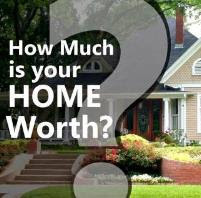 Well that depends on on the price range of the house you want to buy. Let's look at housing prices in Hampton Roads and how it compares to the median income for our area. 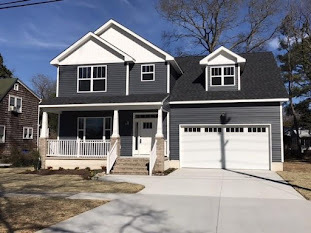 The current median home price for the Virginia Beach-Norfolk-Newport News metro area for 1st Qtr 2010 is $195K while compared to the US as a whole, the median home price for 1st Qtr 2010 is much less at $166,733. 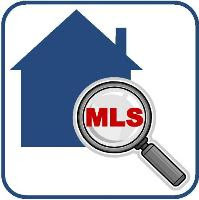 For a more specific look at each of the 7 cities independently, according the the latest MLS statistics from May 2010, you can view median sales price in my post, The Latest Hampton Roads Market Update, you will see that Virginia Beach, Chesapeake, and Suffolk all have median sales prices well above $195K. According our local MLS, Real Estate Information Network (REIN), a little more than a 1/3 (about 37%) of homes listed for sale are priced below $200K with 18 percent of those homes priced under $150K. How does one measure affordability? What percentage of household income can be reasonably used towards a home purchase? According to HUD's website, "The generally accepted definition of affordability is for a household to pay no more than 30 percent of its annual income on housing. Families who pay more than 30 percent of their income for housing are considered cost burdened and may have difficulty affording necessities such as food, clothing, transportation and medical care." However for all intents and purposes, lenders use debt to income ratios to determine how much one can afford and these ratios are the front ratio and back ratio. The front ratio is gross income (before taxes) including housing payment of principal, interest, taxes, insurance, and applicable PMI or home owner association dues. The back ratio is the same as front except it includes consumer debt. For example,the ratios for FHA loans are 29/41. If your gross income is $5000/mo or $60K/yr, your maximum housing costs would be $1450/mo, and your monthly housing cost including consumer debt can be no more than $2050/mo. For the 2008 median household income for our area, a family earning $57,122.00 could purchase a $207K home using an FHA loan assuming the following: No debt, having the required 3.5% down payment, 5% interest rate & 30yr fixed term. For your own specific situation, what you qualify for and what you can spend are usually 2 completely different situations. Your monthly recurring debt load, your cash on hand for downpayment and closing costs, your loan type and your interest rate will all play an important factor in what you can and are willing to spend. For a general idea of what you can afford based on your gross monthly income or yearly income, you can visit the loan calculator on Ginnie Mae's site which will show you an estimate of what you can afford to spend on a home for either an FHA loan, VA loan or conventional loan product. If you have any questions or if I can help with your real estate needs, feel free to contact me!